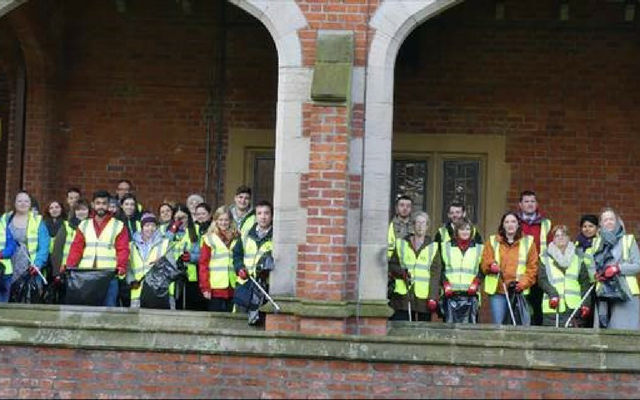 We spoke to Queen's University Belfast about how Green Impact works at their university - from effective communications, to fun outreach, to keeping things fresh. What approach have you used to encourage people to take part in Green Impact? What methods did you use to communicate? At Queen’s, we use a variety of different methods to reach out and encourage participation in Green Impact. Emails are the main method of communication as we can reach out directly to staff and students with the same message. We also use our Twitter account @greenatqueens to reach out on social media to keep the message more fun using pictures and hashtags. Twitter is particularly useful for our #caughtgreenhanded campaigns where we offer spot prizes to staff using the hashtag to show what they are doing to be green on and off campus. Feedback sessions with staff are useful so we hold regular workshops to hear opinions on how we can improve participation and recent feedback has been that staff want more recognition and support from senior management so we have been sitting down with senior managers to encourage their participation and we have invited them to our Green Awards to recognise the hard work their staff do as part of Green Impact. Holding regular events throughout the year helps us to meet with staff face-to-face and helps to generate enthusiasm. It is important that we show staff that Green Impact is enjoyable and not just extra work while ensuring that they receive proper support from senior staff. Why is it important to the university to have every faculty taking part in Green Impact? Queen’s is a large university with around 24,000 students and we have a responsibility to be sustainable and have a positive influence on our students. To have all of our schools and directorates signed up to Green Impact would expand the breadth that the programme reaches. Green Impact provides a great, structured, step-by-step approach to drive sustainability action in any work place. Staff at Queen’s know that it is the right thing to do, so Green Impact provides good guidance and best practice to allow them to get involved. What support do you give your teams throughout the year? Our Environmental Team are very approachable and are easily contacted all year by email, phone, in person and through our @greenatqueens Twitter account. Alongside this, we offer support to teams throughout the year, especially to new teams who may not know where to go to ask for help with completing criteria. We also hold occasional drop-in sessions for staff to casually call by and receive help with the online toolkit and to get advice on how to complete their criteria. Alongside casual events, we host our Recycling Week in November and Green Week in February during which we hold multiple events across one week. These events include litter picks, talks from external speakers, charity collections and trips to our neighbouring botanic gardens for guided tours. These are a great opportunity for our Environmental Champions to meet each other and to meet us, tick off criteria in the toolkit and maintain enthusiasm year-round. With 84 teams this year, we want to reach out to and recruit even more teams next year! By introducing new criteria and projects to the toolkit we can keep things fresh for teams who have been doing Green Impact for up to eight years. We recently held a feedback session with staff to hear about what they have enjoyed, found challenging, and how they would like us to improve environmental awareness and engagement beyond the workbook. We are also really eager to expand the Green at Queen’s message and are hoping to improve connections between teams by encouraging collaborations and maybe even an overall university-wide project for staff to get involved in while also supporting staff in individual projects around the university.